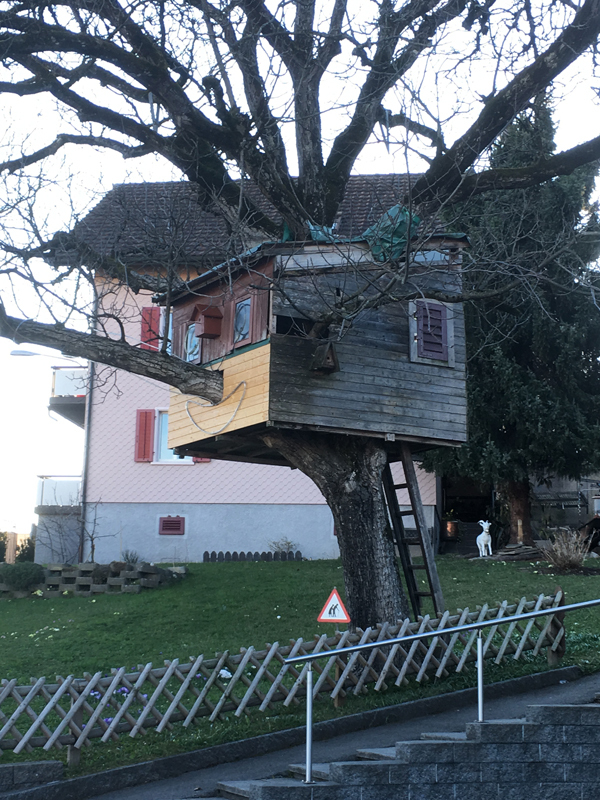 This treeehouse is situated in Rapperswil (St. Gallen, Switzerland). 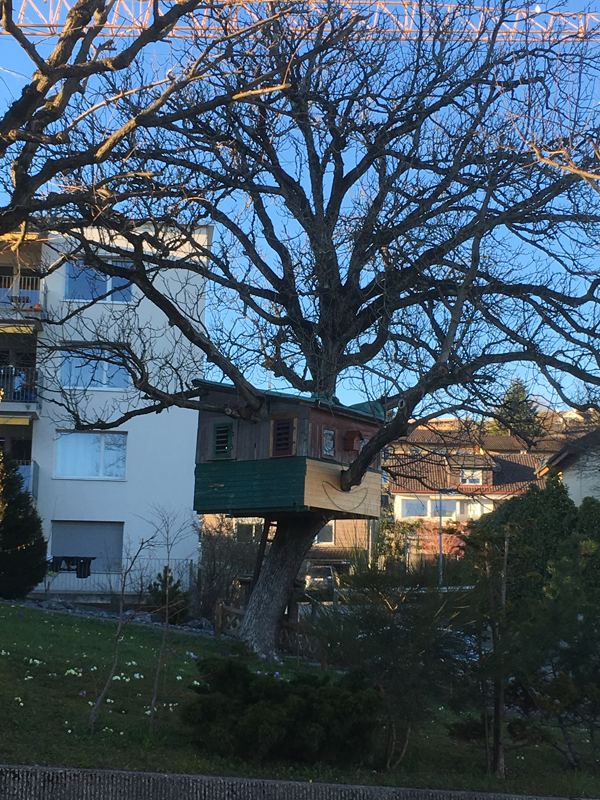 The kids and owners of this treehouse transformed one of the fourth facade of the treehouse in a face. with a LED lights draw the eyes, the mouth and the nose on a branch, meanwhile the others branches have the function of hairs. 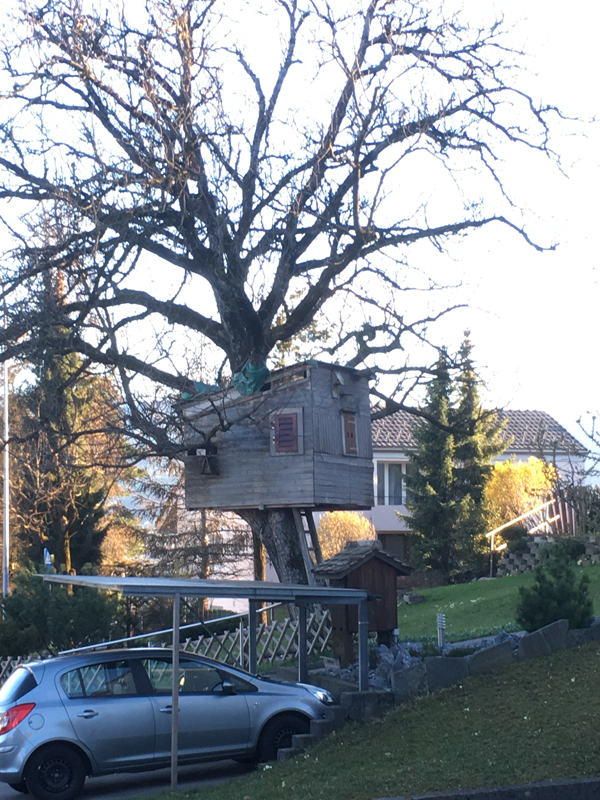 I guess that in the night this treehouse would have a face of Pinocchio! 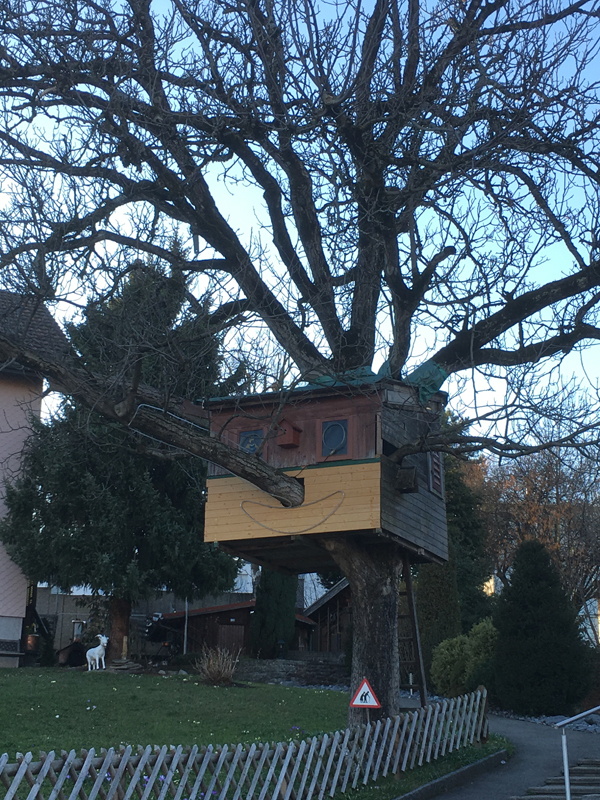 A new and creative way to give a touch of personality to an inanimate object.